In 2016, Advocate Health Care, the largest health system in the Chicagoland area, integrated into its performance measures a Net Promoter-like score, which they call a Patient Loyalty Score (PLS). Net Promoter Score (NPS) is a valuable metric, and it has been adopted by many companies in almost every industry. NPS is a simple, easy to use, and easily calculated metric that is intuitively associated with business health by assessing a respondent’s likelihood to recommend an organization to a friend or colleague. Health care organizations are beginning to see its value, and are exploring how it is best calculated and used. For Advocate Health Care, PLS is constructed using data from CAHPS and vendor surveys, and utilizes the likelihood to recommend question. Only a top-box score is defined as a promoter, and varying bottom scores are defined as representing a detractor. That is, for a five-point scale (ED vendor survey) the bottom three responses are categorized as detractors; for a four-point scale (HCAHPS) the bottom two are detractors; and, for a three point scale (CG-CAHPS) only the bottom score is a detractor. Some issues with the measure include the referent (CG-CAHPS asks about likelihood to recommend the provider’s office, ED refers to the department, and HCAHPS asks about the hospital), and the limited scale width (the original NPS scale is 11 points). However, for me, having a patient-provided measure outweighs the issues, and I commend the organization for holding people accountable for patient perceptions of care. The strength of this metric is to create system-wide responsibility for a patient-provided measure, thereby ensuring that the patient’s voice is heard. Which variables are the most important drivers of PLS? What can we learn from patient comments about potential drivers of PLS? Inpatient (HCAHPS): Nurses and personal issues (privacy, pain, and emotional issues) had by far the most impact on patients. Positive comments centered on comfort, communication, and care. Negative comments focused on food. Outpatient (CG-CAHPS): The face-to-face interaction between a patient and physician is the “moment of truth,” and as such is what the patient apparently will use to evaluate the entire experience. Positive comments centered on comfort and communication. Negative comments focused on waiting and rude treatment. Emergency Department (Vendor Data): When patients are in the ED, taking care of personal issues will have the greatest impact on PLS. These issues include keeping patients informed about delays, caring about patients as people, pain control, and providing information about caring for yourself at home. Positive comments centered on comfort, communication, and care. Negative comments focused on feeling vulnerable and afraid in a busy and foreign environment. As a result of this project, Advocate Health Care is now embarking on disseminating the results, integrating insights into daily practice, and evaluating additional questions that emerged from the analysis. I’d be interested in hearing more about what your organization thinks about NPS, how you use it, and what you have learned as a result! 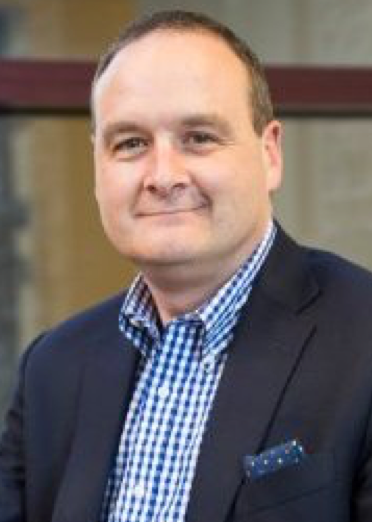 Andrew S. Gallan PhD is an assistant professor at DePaul University in Chicago, a member of the Editorial Review Board of Patient Experience Journal, and principal of Dignity in Action, Inc., a PX analytics and advisory company (www.dignityinactioninc.com). Andrew can be contacted via email: agallan@depaul.edu.